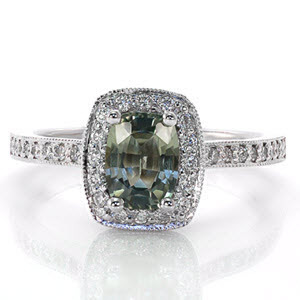 At Knox Jewelers, we have been creating more and more Sapphire Engagement Rings in many design styles. Corundum, the stone that is commonly called sapphire, comes in every color of the rainbow except red, as red Corundum is called Ruby. 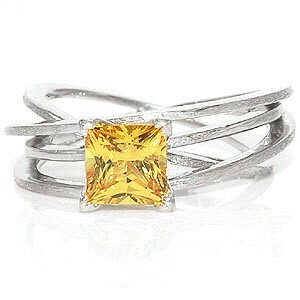 There is also a white sapphire that when well cut, can look very much like a diamond. Here are a few photos of some very unique sapphire engagement rings we have made. 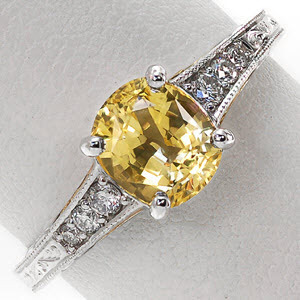 We can build these designs around any shape or size sapphire or diamond. So follow the links or click on the photos if you’re interested in more info. 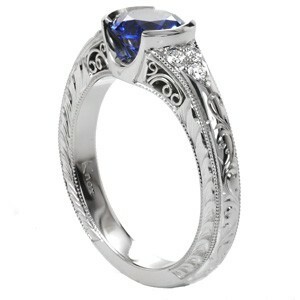 Here is a custom version of our “Caledonia” design with a remarkable 3.60 carat blue cushion cut sapphire. Here is one of many of our “Cushion Barcelona” engagement ring designs. 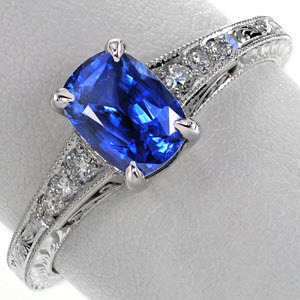 This is shown with a blue cushion cut sapphire. The hand done filigree and hand engraving make this design truly unique. 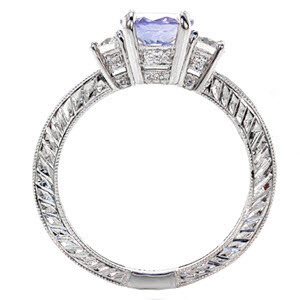 Our “Bezel Elegante” design is shown here with a beautiful bezel set, blue princess cut sapphire. Here is a very classic design with a blue emerald cut sapphire, beautifully accented by two tapered baguette shaped diamonds. Notice the elegant claw prongs holding both the side baguettes and the center sapphire. 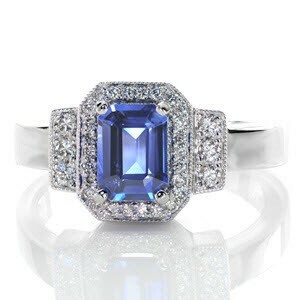 Here is an Emerald cut blue sapphire in our “Art Deco” engagement ring. 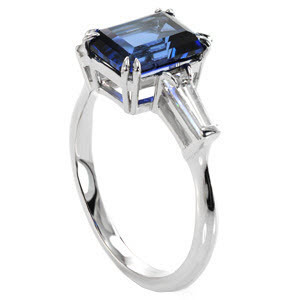 Here is a Bezel Set Emerald cut blue sapphire engagement ring with hand done filigree. 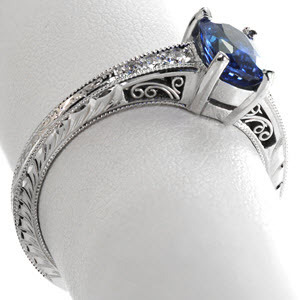 Bezel Set Emerald cut blue sapphire engagement ring with filigree. 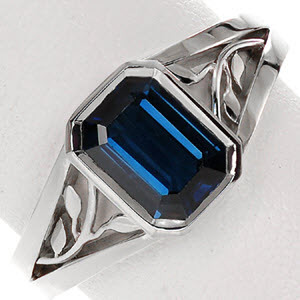 Here is our “Seville” design with a rich blue diamond cut sapphire. 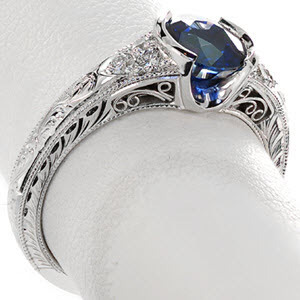 This is a very unique engagement ring with the hand engraving and hand done filigree accent. 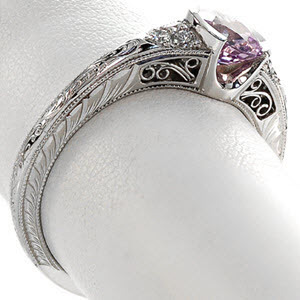 This purple sapphire engagement ring features our “Seville” design again, with hand engraving and hand made platinum filigree. 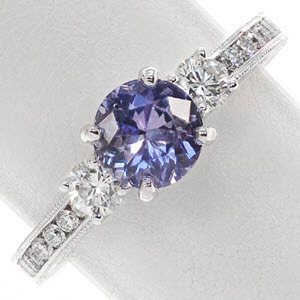 Here is a recent three stone engagement ring design with a purple sapphire. 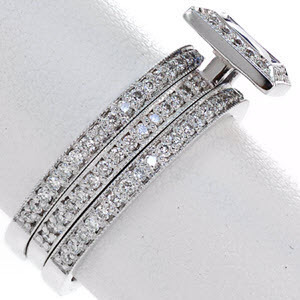 The design features a near eternity diamond band and also beautiful hand engraving. 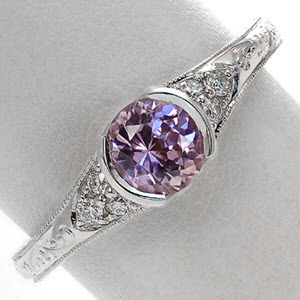 Three Stone Engagement Ring Design with a purple sapphire. 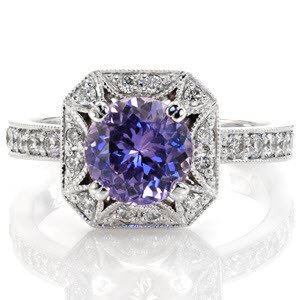 Here is our “Lotus” halo style engagement ring, shown with a bright purple sapphire. 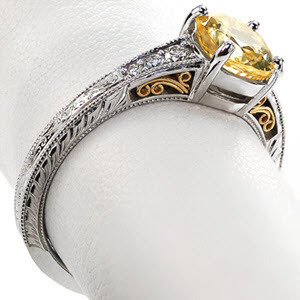 This sapphire engagement ring features a low set cushion cut yellow sapphire mounted around diamonds, hand engraving, and yellow gold filigree. This is a custom version of our “Cushion Barcelona” engagement ring. 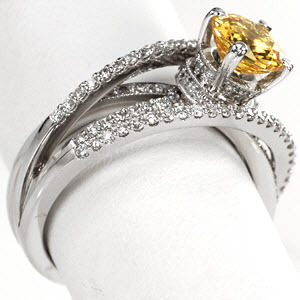 Here are two custom versions of our “Fireworks” engagement ring with yellow sapphires. 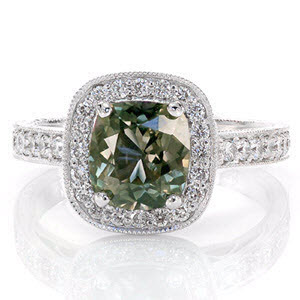 Here is a fabulous green cushion cut sapphire engagement ring. The sapphire is surrounded by a halo of diamonds. The hand engraving and hand done filigree are what make this unique engagement ring a work of art. 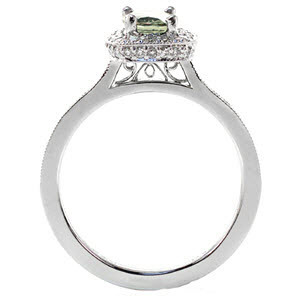 Another beautiful green sapphire engagement ring. This is a version of our “Amante” halo design, customized with hand done filigree filling the gallery. 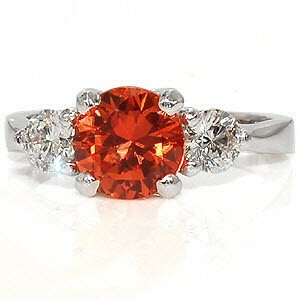 Stunning orange sapphire engagement ring. 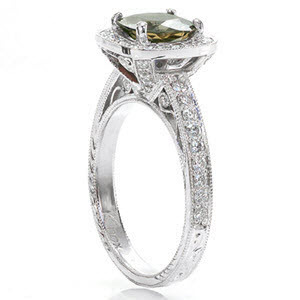 Based off of our “Contour Trellis” three stone engagement ring. 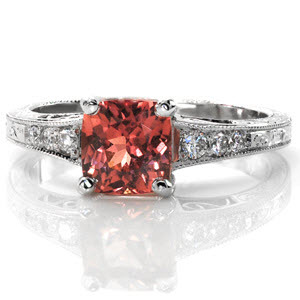 Here is a custom version of our “Cushion Barcelona” design with an vivid orange square cushion cut sapphire. Orange Square Cushion Cut Sapphire in Custom Cushion Barcelona Engagement Ring. Hand Engraved with Filigree. 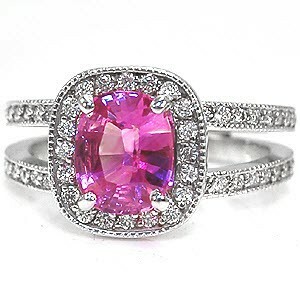 Here is a beautiful 1.84 carat cushion cut pink sapphire engagement ring in a micro pave style. 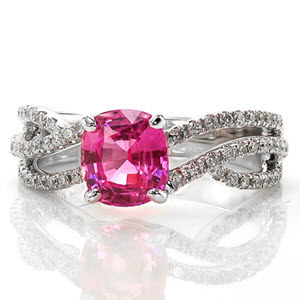 Here is a Pink Cushion Cut Sapphire in a split shank micro pave engagement ring.